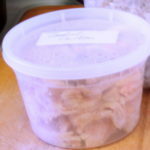 You’ve made the Magic Roux Cubes, or at least, you’re considering doing so – and now you’re wondering how to use them, and what you would use them for. I already showed you a very basic chicken gravy… now, here’s a white sauce. 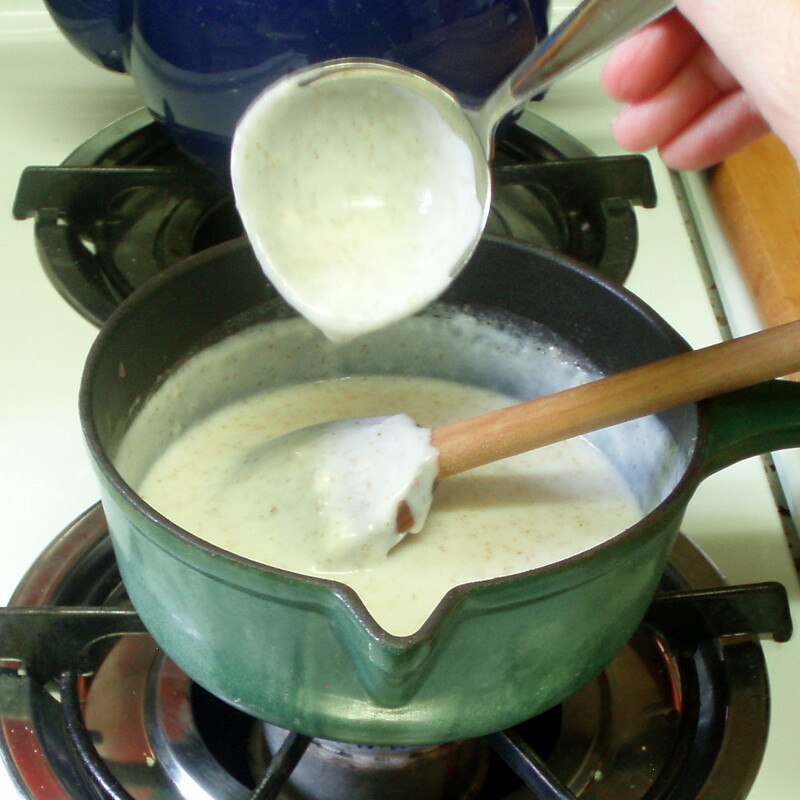 White sauce, sometimes known as cream sauce, or, in French cooking, Bechamel, is considered a “mother sauce” – a basic sauce that can be varied to make many others. Season it with herbs or spices, use broth for part of the liquid, pour a thin sauce over vegetables, use a thick one to bind the same vegetables into patties. I think of it almost as an ingredient – I rarely use it alone, but it is part of so many things… Even the can of condensed cream of something soup used in many recipes passed around by friends and neighbors is really a cup and a half of a very thick, flavored white sauce. The sauce itself is very quick and easy. 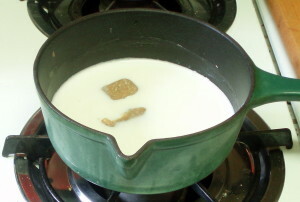 You need to pay some attention so that you don’t scorch the milk, but that’s the hardest part. Use a heavy pan that keeps a very even heat (or use a double boiler – it will take longer, but you definitely won’t scorch the milk.) I made a sauce of medium thickness, to use in a casserole, so I used two roux cubes. 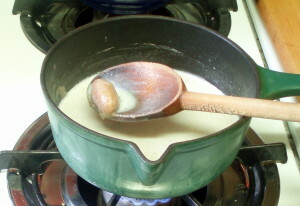 All I had to do was put the milk in the pan, over medium heat, and add two roux cubes. Then I stirred it every minute or so – that keeps the milk from sticking and scorching. You don’t need to stir constantly, you can do something else in the kitchen, but this is not a good time to leave the room – the whole process took only about five minutes. The roux melts gradually from the outside of the cube, so the occasional stirring is all you need to totally prevent lumps (which can be an issue with the usual method.) Since I used whole wheat flour, you can see it gradually spreading through the milk. 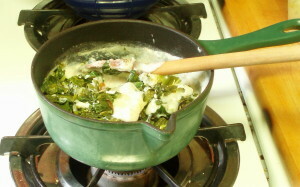 As the liquid comes close to a simmer – I don’t want milk to really boil – it starts to gradually thicken. Do stir more now, still on medium heat, and you will see it thicken. And there you have your sauce. You can season it, now – add herbs, spices… or precooked onion, leeks, celery or other aromatics… You can add cheese. Or you can use it in a recipe. 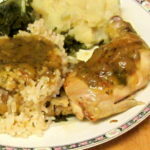 I had cooked chicken and cooked baby collards. A casserole was obvious. I spread the chicken in an ovenproof dish. Then I seasoned the sauce with thyme, and salt and pepper. I chopped the leftover cooked greens fairly fine (I find they need to be in smaller pieces in any kind of sauce than when eaten alone) and stirred them into the sauce. 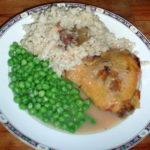 Then I poured the vegetable/sauce mixture over the chicken, and put it in a preheated oven for 20 minutes. It could also have been assembled and then covered and refrigerated – in which case I would have cooked it for half an hour. I made this in a gratin dish – and it is sort of a gratin… which would normally have had a little more effort made for a nicely browned, crisp top. Some bread crumbs, a bit of cheese, even dotted bits of butter or just running it under a broiler would have made the whole thing a little prettier. The goal here was easy, so I skipped all that – you can certainly do it. 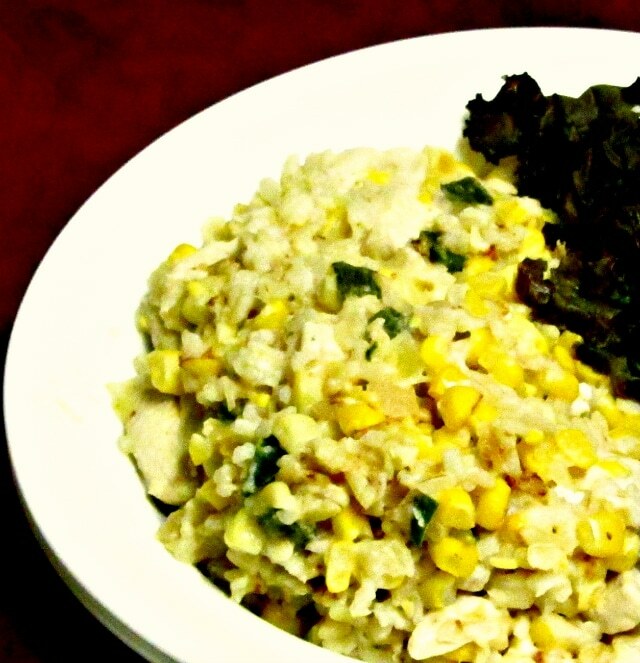 Make a quick white sauce, and use it to bind a simple casserole of chicken and vegetables. 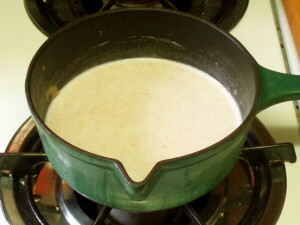 Place milk and roux cubes in a small heavy pan over medium heat. Bring to a simmer, stirring frequently. Once it is simmering, stir untl the sauce thickens. Add salt and pepper, thyme. 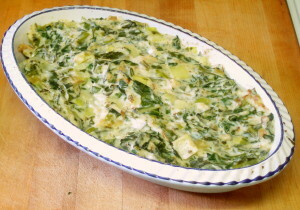 Stir in the leeks and chopped greens. 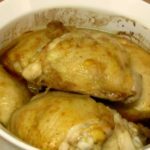 Place the chicken in the botom of a baking dish. Pour the vegetable sauce mixture over it. Smooth the top. Bake for 20 minutes, until it is heated through, and the top is browned. Yes, I think that would be delicious! The simpler form was very good, though, too.